M4 : Soft lines and ergonomic precision ! Result of a close collaboration with the famous German designer Martin Ballendat, M4 is an executive mesh armchair featuring pure aesthetics lines and technical precision. Some selected curved lines are elegantly smoothing the mostly straight lines to give to the chair both a very light look as well as an outstanding visual presence. With its full mesh seat, backrest and headrest, M4 enter in the very exclusive club of few professional chairs made of 100% mesh, on world's office seating market.Designed to provide a full comfort able to meet with most demanding user's ergonomics needs, M4 innovates with a very new mesh quality featuring both mechanical and elastic performances together with an amazing softness. 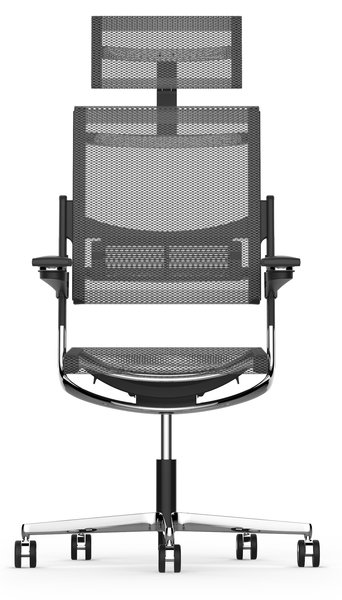 M4 has a new fully integrated self-regulated mechanism, custom-developed for the chair. It provides an automatic custom fit to the user's gabarit, without need of any adjustment.Seat translation integrated to the seat. Height adjustable armrests by sliding on sidebars. PU pads, with a front-back and left-right translation and a 180 ° rotation. The seat is made of complex and precise assembling of different materials such as aluminum, polyurethane, polyamide, polypropylene and polyester. 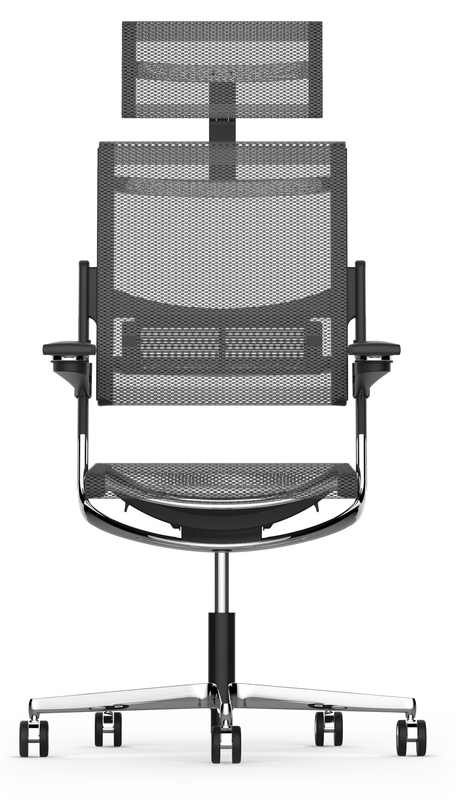 4 models for a complete range: Executive (with headrest), Manager (high back), Operator (medium back) and Conference (automatic return).Upholstered seat version is under development.